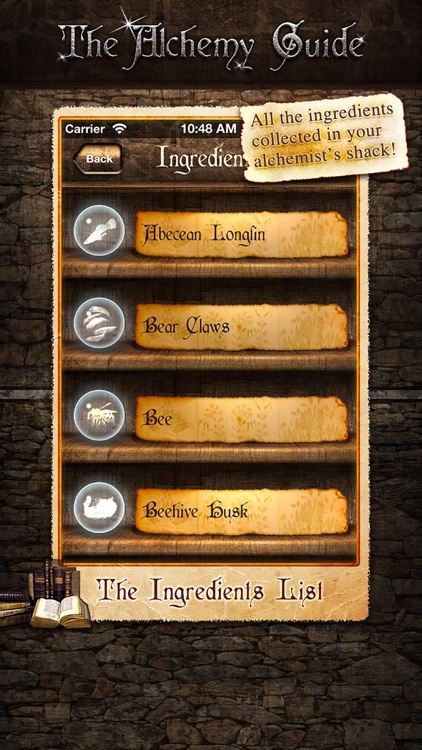 Ready for PSVR, DLC Included! 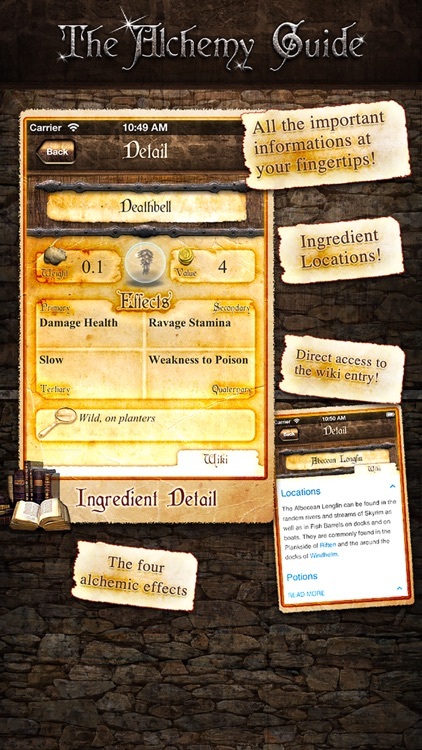 From the makers of PipClock, the Nuclear Wasteland Survival App, a new amazing app: Alchemy Guide. 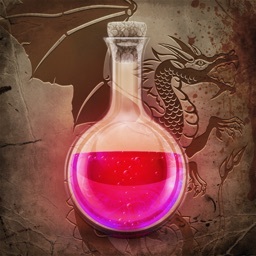 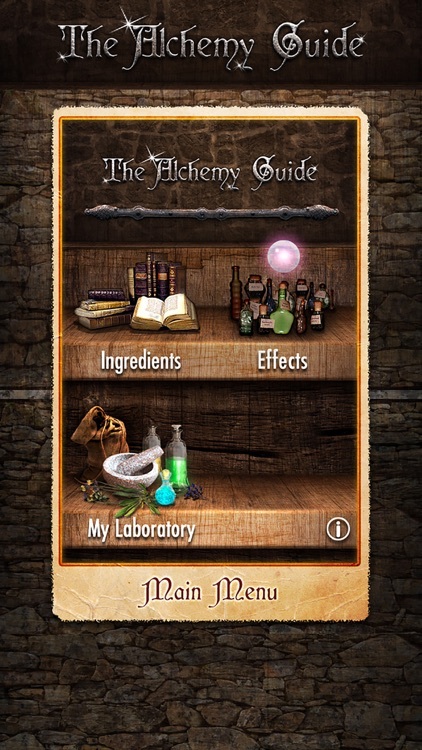 Master the Art of Potion & Poisons making and become a Mighty Alchemist with the best and most beautiful Skyrim Companion App. 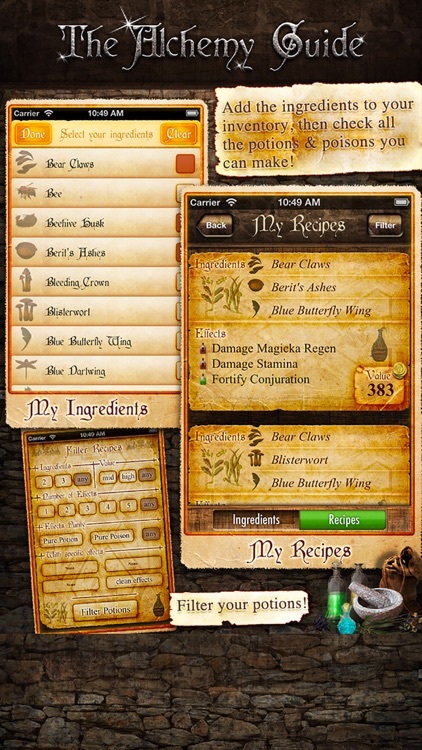 Browse the extensive database of ingredients and potion effects, check where you can find specific ingredients, then add your ingredients to the inventory and look for the most valuable potions you can create! 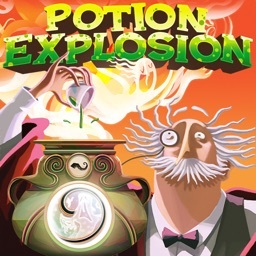 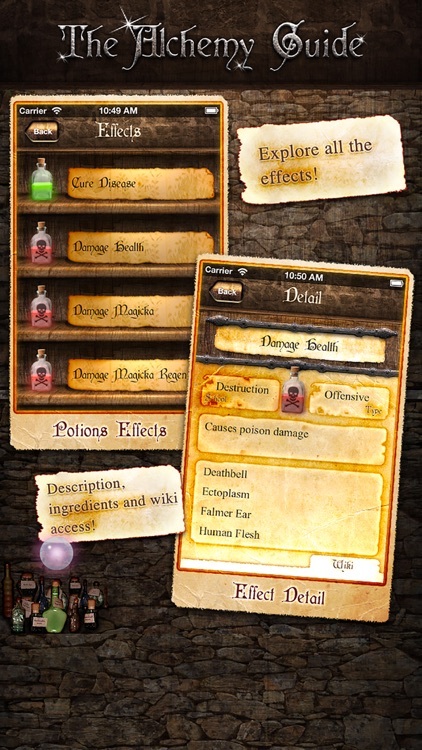 Search only potions with specific curative effects or find the most deadly poisons. 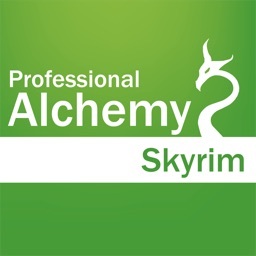 Alchemy Guide is just the best Skyrim companion! 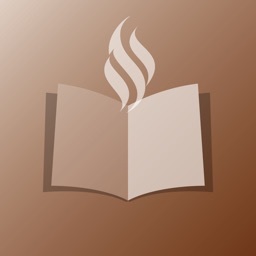 guideline(s) § 107 "fair use", please contact us immediately. 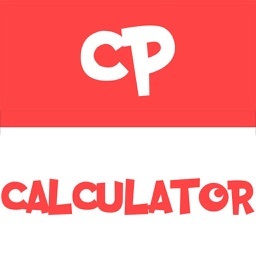 Evolution Calculator for Pokémon Go!